This pic got me thinking, that it’s so easy to give up, as a grown up, isn’t it? It’s so easy to say okay, maybe this is not for me, this person, this relationship this dream. 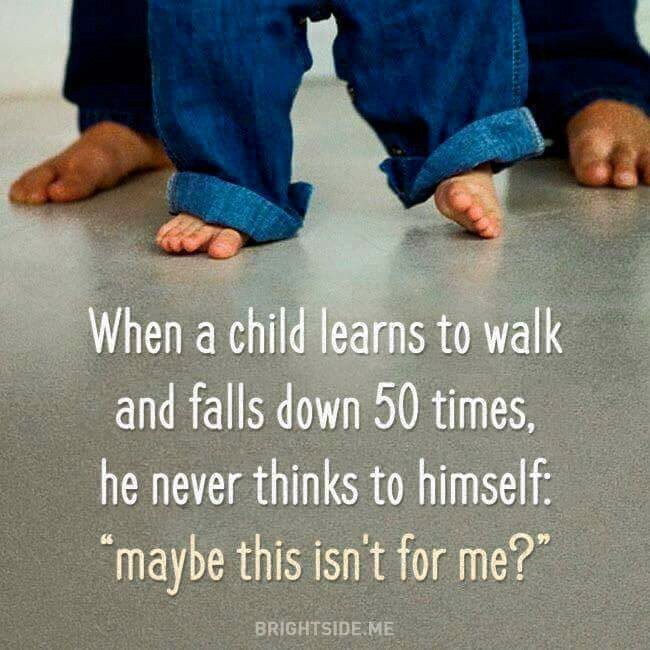 Maybe I should dream another dream instead, and be with someone else, but here’s the thing — walking is an essential life skill, so kids fall down and get up, and they don’t give up, until they’ve mastered it. The same way, if your dream matters so much to you, how can you give up on it? If it’s so essential that it’s causing you to lose sleep, and touching all sorts of emotional chords on the inside, then all you really have to do, is keep working towards making it real. Every day, every minute, every moment, just focus on how perfect this is, and that you have it, and so you will! I know You and I are meant to be, and I sure am not giving up on my dream of us together.